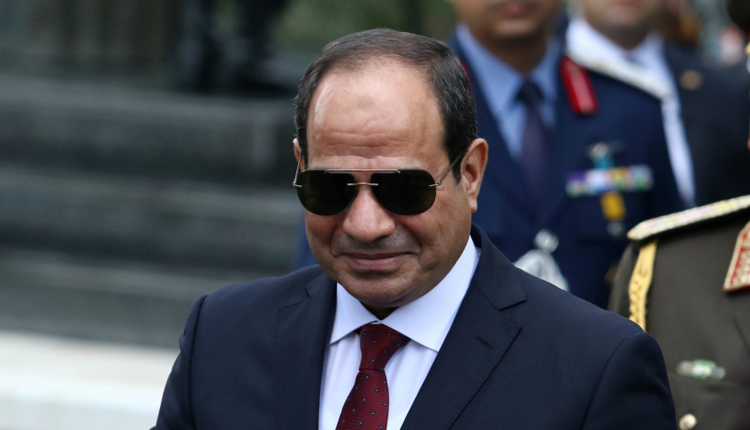 Egyptian President Abdel Fattah al-Sisi offered a rare acknowledgement of his close security cooperation with Israel in the Sinai peninsula during a U.S. television interview with CBS’ “60 Minutes” news program broadcast on Sunday. The program said Cairo had asked the network not to air the interview but did not give further details. Under Sisi, Egypt has quietly cooperated with Israel on security in Egypt’s Sinai, a desert peninsula demilitarized as part of a U.S.-sponsored 1979 peace treaty between the two countries but where Cairo’s forces now operate freely. Defeating militants in the Sinai and restoring security after years of unrest has been a key promise of Sisi, who was re-elected in March last year in a landslide victory against no real opposition. Egyptian security forces have battled Islamist militants in the mainly desert region, stretching from the Suez Canal eastwards to the Gaza Strip and Israel, since 2013. “Why hasn’t the U.S. eliminated the terrorists in Afghanistan after 17 years and spending a trillion dollars?” he asked.